With a change in name and logo, Delhi Capitals will be hoping for a change in fortune as well. Ahead of the Indian Premier League 2019 (IPL 2019), the franchise changes its name from Delhi Daredevils to Delhi Capitals. The franchise was active at the IPL 2019 auction and went for an overhaul as well. It did retain most of the players but did not shy away from adding new ones. The Delhi Capitals also took part in the Player Trading and traded three players for Shikhar Dhawan. IPL 2019 Schedule in PDF: Download VIVO Indian Premier League 12 Full Timetable With Fixtures, Matches, Team and Venue Details. Meanwhile, under young captain Shreyas Iyer, Delhi Capitals will be looking to put up a good show as they aim for their maiden IPL title. Delhi has numerous youngsters in their side and in the IPL 2019 will look to make their opportunities count. Ahead of the IPL 2019, we take a look at some upcoming talent in the DC squad. 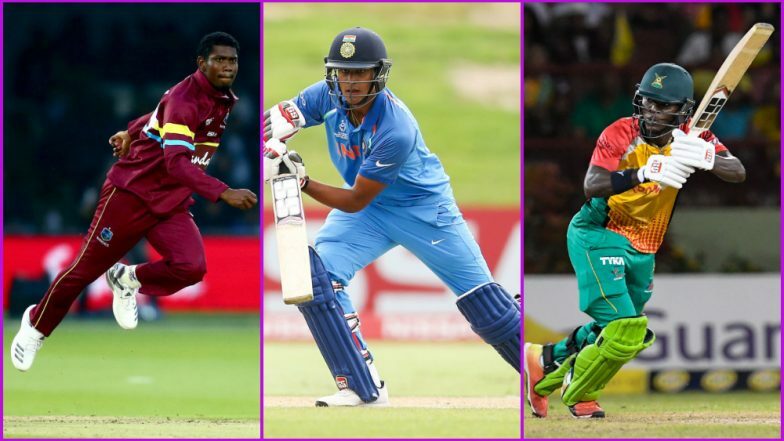 Manjot Kalra: The left-handed opening batsman rose to the prominence after a century in the final of ICC U-19 Cricket World Cup 2018. He was added to the squad by Delhi soon after it but did not feature in any of the games for the team. He played in the recently concluded Syed Mushtaq Ali Trophy for Delhi team but failed to impress. He will be hoping to get his first breakthrough in the IPL this season. Delhi Capitals Squad in IPL 2019: Team Profile, Schedule of DC in VIVO Indian Premier League 12. Sherfane Rutherford: The 20-year-old top-order batsman was bought by Delhi Capitals for Rs 2 crore. With Glenn Maxwell not featuring in this year’s IPL, Delhi Capitals will be hoping that young Rutherford fills in the big shoes. Keemo Paul: Another Windies import in Delhi Capitals is this 21-year-old all-rounder. He was bought for Rs 50 lakh by the Delhi franchise and is set to play an important role in the IPL. Paul has already represented Windies in three Tests, 11 One-Day Internationals (ODIs) and 12 T20Is. Delhi Capitals Tickets for IPL 2019 Online: Price, Match Dates and Home Game Details of DC in Indian Premier League 12. Delhi Capitals, previously Delhi Daredevils, have never won the IPL title. The last time they qualified for playoffs was in 2012 edition of IPL. So, for six consecutive seasons, they have failed to finish in the top four. Delhi’s best finish in IPL has been semi-final appearances in the 2008 and 2009 season.